Many baby animals brought to the Wildlife Center each year are not really "orphans" in need of the kind of hospital care that the Center provides. In fact, many animals brought to the Center are in need of no "help" from humans at all. They are young animals still receiving care from their parents, or young animals that are ready to live, and thrive, on their own. If you see a young wild animal, it’s best to first ask questions before intervening. Despite our natural inclinations, the best chance of survival for a young uninjured animal is often to leave it in its parents' care. If you do find a truly orphaned (or injured) young animal, keep the baby warm and dry in a lidded box with a cloth or towel on the bottom until you can get help. Keep the box in a quiet place away from children and pets. A heating pad underneath the box [low setting] or a rice or bird-seed bag may be used to help keep the animal warm. 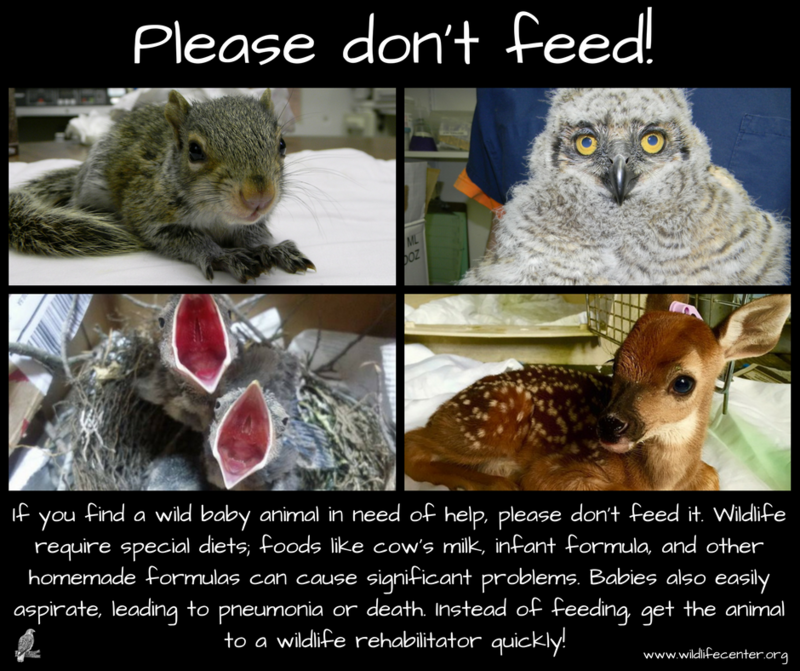 Unless specifically advised to do so by the Wildlife Center or a permitted wildlife rehabilitator, please do not attempt to offer food or water to a patient. Such treatment is likely to cause more harm than good. Many wild animals have very sensitive stomachs and require very special diets; baby animals can also easily aspirate, which can lead to pneumonia or death. 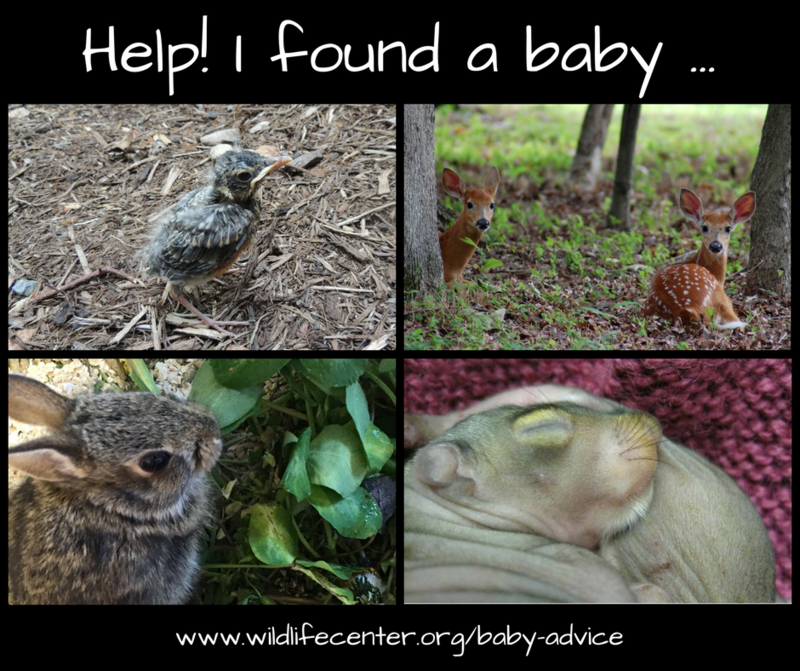 Did you receive wildlife assistance from us? 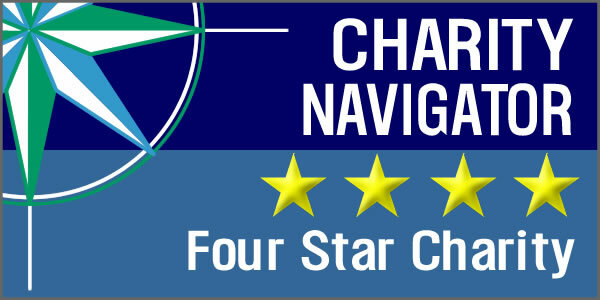 Please take our re-nesting survey here!